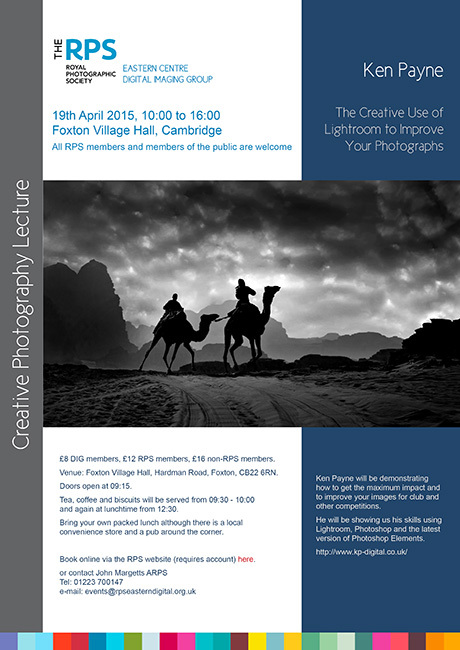 In my role as Committee Member responsible for Publicity, I’ve produced a flyer for our first exciting lecture of 2015 – ‘The Creative use of Lightroom to Improve Your Photographs‘ by Ken Payne. The layout and design of this flyer is as a result of the RPS being re-branded; this now seems to be a common occurrence in this modern world; I do hope you like the new look! Ken Payne will be demonstrating how to get the maximum impact and to improve your images for club and other competitions. He will be showing us his skills using Lightroom, Photoshop and the latest version of Photoshop Elements. The venue for the lecture is our usual Village Hall in Foxton which is centrally located, provides good parking and is also serviced by the train station. As always, you don’t have to be an RPS member to attend the lecture – all are welcome. Tickets are £16 for non-RPS members, £12 for members, £8.00 for RPS Digital Imaging Group Members. 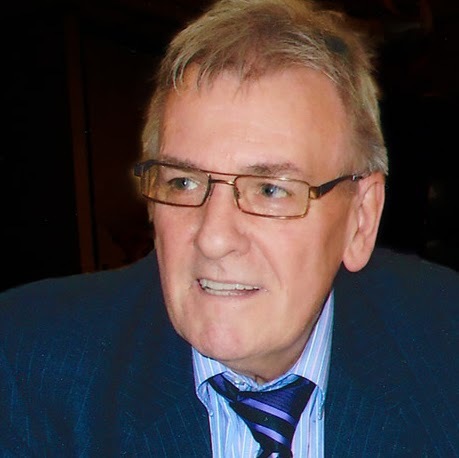 Get details of the event and book on-line (requires an account) from the RPS website directly here, or to reserve your place, either e-mail events@rpseasterndigital.org.uk or call John Margetts (ARPS) on 01223 700147.